Create estimates faster using our “in-page” parts ordering system. Connects seamlessly to your wholesale account at your local preferred parts retailer. The system will pull the part into the estimate along with price information and part install times. For services that you provide on a regular basis you can create invoices fast when you setup a canned job. 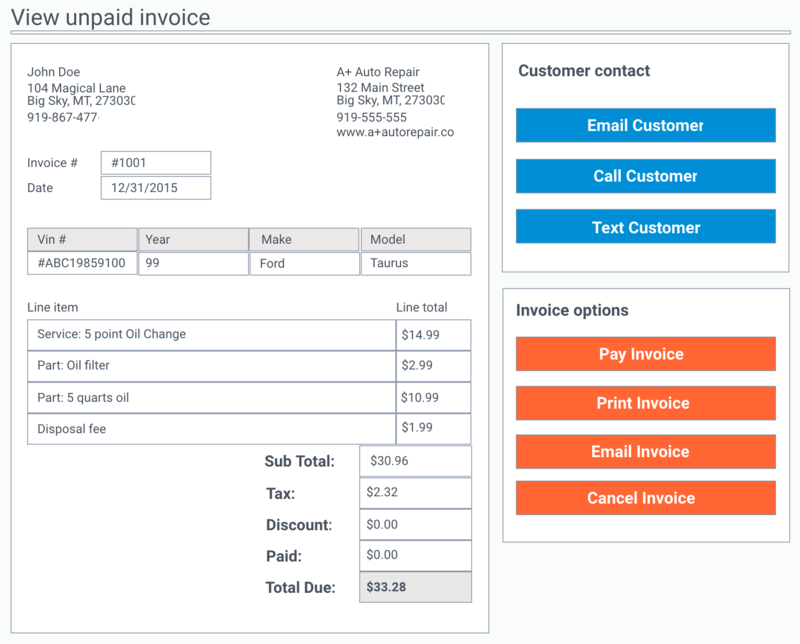 Lookup the customer vehicle and attach it to your canned job for two click invoice creation. A complete work order and invoice management solution. Maintain vehicle service history records and quote new repair projects. 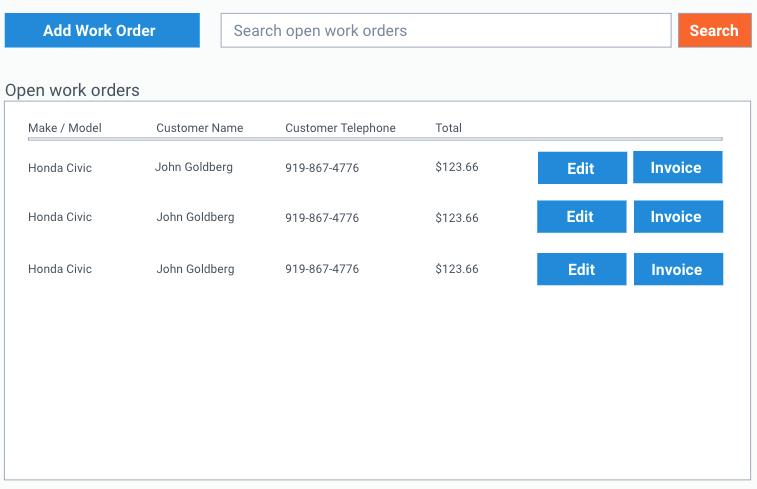 Create fast work orders with built in parts ordering. The product will be ordered and placed on the work order along with price and your designated markup. Gather a parts install time and automatically add it to your repair quotes during parts ordering from your local auto parts vendor. Keep your bays full and your car count high. Quickly schedule customer service times by loading the work order into your shop calendar. A dashboard to help you track income, car count and other important metrics. Export this data into your accounting software as needed. Car count is a highly important metric for your business. Using our intuitive appointment scheduling feature, your staff can quickly see daily agendas, plan more effectively for the day and quickly schedule future client appointments. Keeping up with your customers is very important to maintain good customer relationships. We make it easy to store and maintain a complete service history for each vehicle that you work on, who the vehicle belongs to and any other vehicles owned by that client.